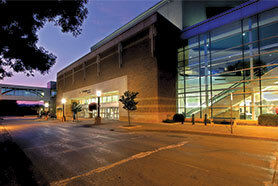 Located in the heart of Mankato’s City Center, the Verizon Center is a premier site for meetings and conventions of any size. 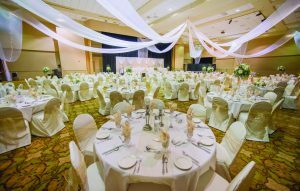 The Verizon Center features up to 17 meeting rooms that include an elegant Banquet Hall, historic Reception Hall, and Grand Hall. The Verizon Center can provide the space your company needs, with over 75,000 square feet of flexible meeting and event space. Below is an interactive web map of the City Center Campus. Click on a building or landmark below for more information. 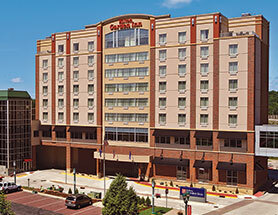 As a planner, you are seeking the ideal host location for your meeting, convention or event. Mankato, Minnesota, has everything you need for success. Just 75 minutes southwest of Minneapolis, Mankato presents unique and flexible meeting venues, with capacity to host events of 5 to 6.500 people. 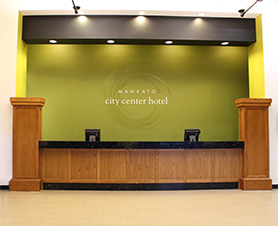 With highly skilled event management teams, state-of-the-art facilities, diverse lodging, accessibility and affordability, Mankato excels as a host location. Extensive trails, outdoor adventures, and sports and cultural encounters create a one-of-a-kind and memorable experience for your attendees. 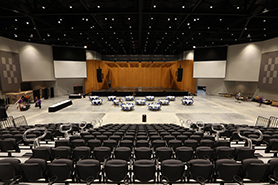 The Verizon Grand Hall is a flexible space with retractable first floor seating that accommodates a variety of events and is ideal for expos, trade shows, conventions, concerts, and performances. This space can accommodate up to 2,000 people theater style, and up 1,000 people with rounds. The Grand Hall also features 2 lobbies perfect for pre-function, registration, or social hour space. Events hosted in our Grand Hall include The Mankato Craft Beer Expo, Dancing with the Mankato Stars, The Minnesota State Softball Banquet, and the Home and Builder’s show. The Grand Hall has also been host to musicians such as Brandi Carlile, Vince Gill, The Beach Boys, and Josh Turner. 2 built-in LCD projectors and screens with HDMI and VGA connectibility, built-in wireless and lapel microphones, media player, custom dimmable lights, and flexible staging options. high-tech audio/visual equipment, 4 built-in LCD projectors & screens with VGA connectibility, built-in wireless and lapel microphones, media player, custom dimmable lights, and custom digital signage outside entrances to room. 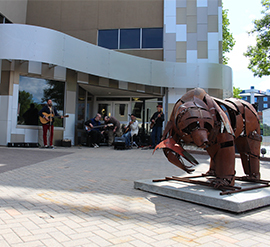 See and enjoy art out in the open at the CityArt Walking Sculpture Tour. You will find 27 sculptures from artists around the world in mediums ranging from re-purposed street signs to steel and glass throughout City Center Mankato. Vote for your favorite and help choose The People’s Choice Award. The winning sculpture will be purchased by the City Center Partnership and will join the permanent collection of City Center Public Art. The City Center Entertainment District offers a vast array of exceptional local restaurants along with a vibrant nightlife. 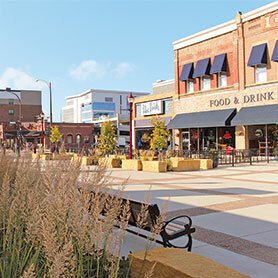 Within a short walking distance from hotels and Verizon Center, it offers visitors many options to make the most of there time visiting Mankato’s City Center Campus.